The Infinity Trip. In the dawn of time, men visited the realms of magic almost at will. Then logic placed its cold cage around our consciousness. But one quick route to the shining levels remained for the tethered spirit: the way of transcendence over self and the material world through psychedelic materials provided by a bountiful nature. From the secret lore of many ages and countries, George Andrews has assembled a brilliant anthology of writings about one of the most controversial areas of the occult. 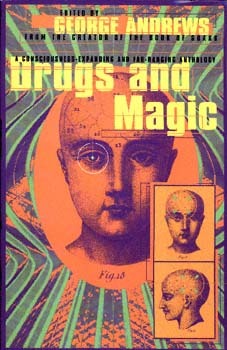 From the mystery of the fruit of the tree of knowledge to contemporary researches into parapsychology, from the fairies and witches of past centuries to the order of the golden dawn and the 'great beast' in our own century, here is one of the most revolutionary books on magical theory and practice ever published.